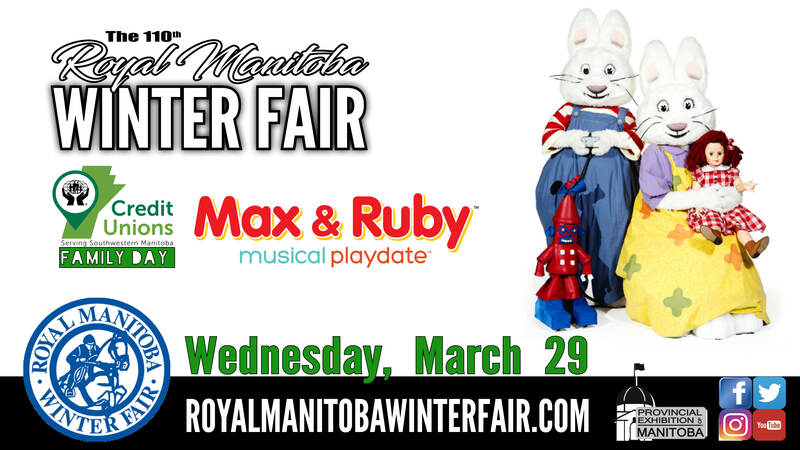 The Credit Unions Serving Southwestern Manitoba were pleased to support the Royal Manitoba Winter Fair (RMWF) with the Provincial Exhibition of Manitoba in 2017. The RMWF is one of Western Canada’s largest agricultural events where people see show jumping and heavy horse competitions, livestock sales and displays, hands-on agricultural awareness programs, live entertainers, over 300 commercial and agricultural exhibits and more. This is our 3rd annual Credit Union Family Day! 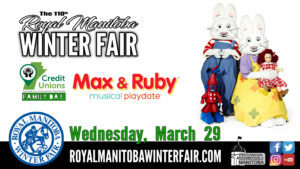 Come say “hi” at our Credit Union booth and be sure to visit the Amphitheatre at 1:30pm, 3:00pm, and 4:30pm to see Max & Ruby! Need Cash For School? Apply Now! The Credit Unions Serving Southwestern Manitoba are pleased to be supporting another great family tradition in the area – the Manitoba Summer Fair, taking place in Brandon, MB between June 3rd – 7th, 2015. This year, Austin, Amaranth, Beautiful Plains, Crocus, Erickson, Minnedosa, Portage, Strathclair, Sunrise, Vanguard & Westoba Credit Unions have all contributed to help the Provincial Exhibition of Manitoba provide quality entertainment for the families in our communities. 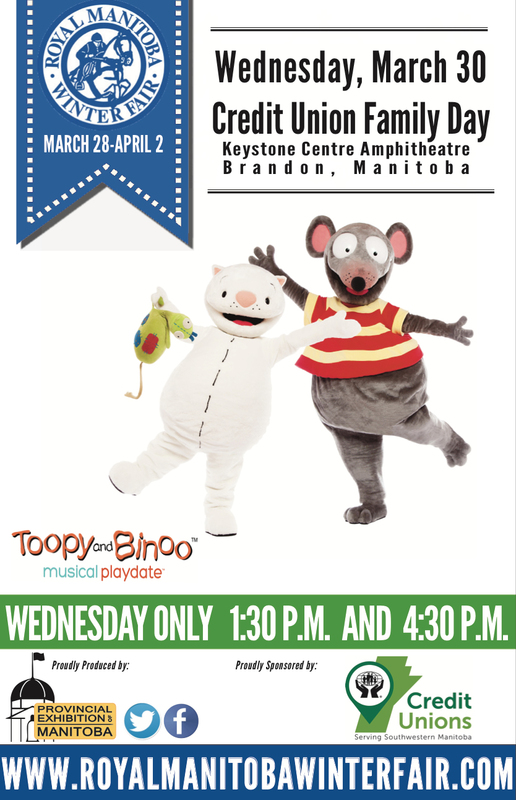 Be sure to stop by the Children’s Entertainment stage for all kinds of exciting shows! The Children’s stage has lively entertainment planned throughout the day and is a must see for families of all ages. Check out a list of who you can see this year below and it’s all included in your gate admission! Print out a Children’s Stage & Kid Zone schedule here and plan your day at the Fair! The Credit Unions Serving Southwestern Manitoba are also the proud Sponsor of the Day on Sunday, June 7th. 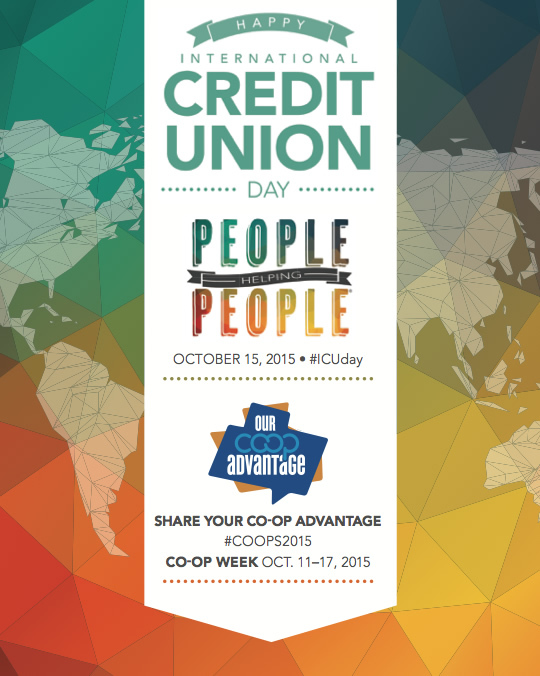 Credit Union’s across the globe will be celebrating International Credit Union Day on October 15, 2015. Stop by your Credit Union and find out how they will be celebrating.